The club is the proud owner of a new GoPro Hero3 Black Edition HD video camera with bicycle brackets and a helmet mount. 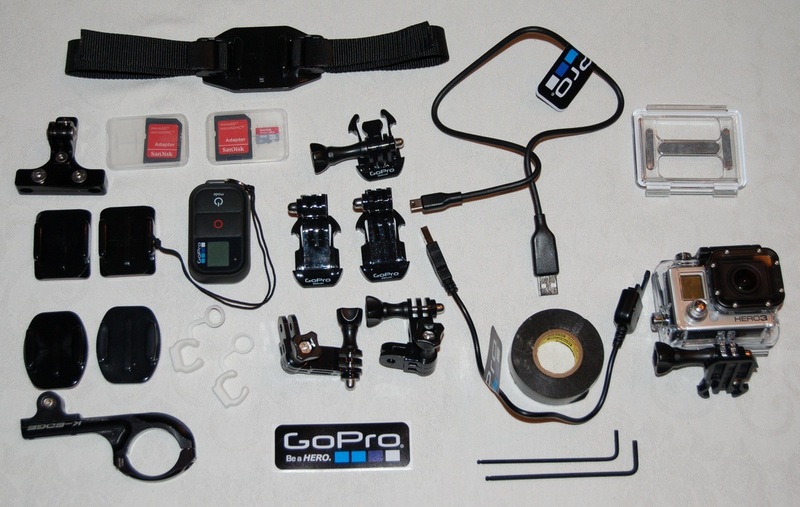 Members will be able to sign-out the camera to record their activities in full HD video. Members can reserve the camera! Use the Contact Us page to send us a message. Please include the name and date of your event. Here are a few instructions for members to user. 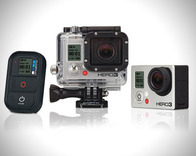 Use only Class 10 and higher MicroSD memory cards with the Hero3. These are the cards that are about 2/3 the size of a dime. Use the electrical tape provided to ensure and non-slip grip when mounting the camera to handlebars. It will also help reduce the likelihood that your bike will get scratched. We've included the correct hex wrenches - 2.5mm and 3mm. Don't loose these! Use RAIN-X or a similar anti-beading solution to the housing lens to prevent waterspots from forming when using your camera in rain or water.